A gritter has crashed off road and overturned as Scotland was hit with snow and icy winds. A gritter has come off the road and overturned amid snowy conditions in Dumfries and Galloway. 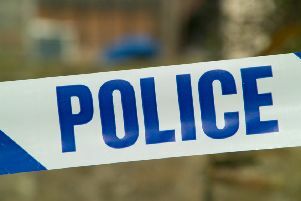 The vehicle crashed on the A76 near Mennock at around 8.20am on Sunday. The driver suffered a minor injury and was treated at the scene by ambulance crew. Wintry weather has also caused disruption in northern Scotland with the B974 Banchory to Fettercairn road closed in Aberdeenshire. The Met Office has issued weather warnings of snow for northern areas of the country on Sunday, warning of up to 5cm of snow on ground above 200 metres. A yellow warning of snow and ice covering most of the country is in force from 9pm on Sunday until 10am on Monday. A Met Office statement said: “Widespread icy patches will develop on untreated surfaces Sunday evening and night.